Ireland is a spectacular country with breathtaking coastal scenery from the Wild Atlantic Way to the Cliffs of Moher and up to along the Antrim Coast in the north. 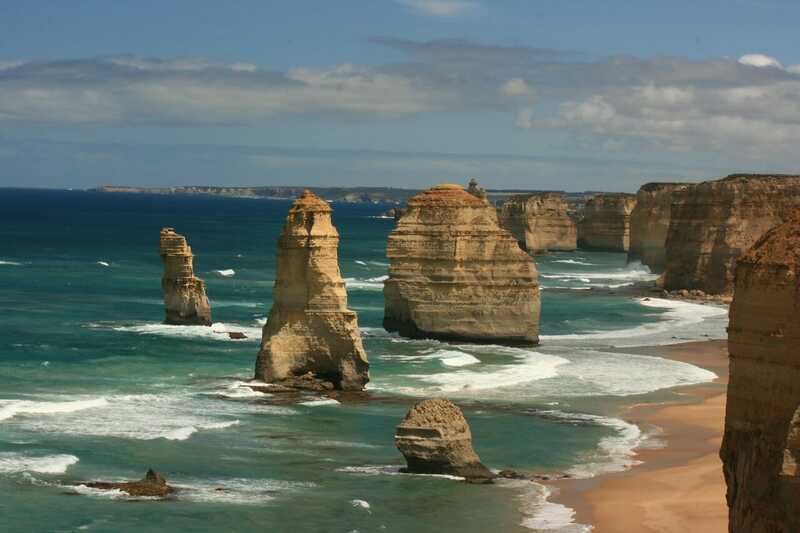 With so much natural beauty, it’s difficult to decide just which road trip you should undertake on a visit. One of our favorites is the Causeway Coastal Route from Belfast to Giant’s Causeway. To complete the entire circuit along the coast, it could take up to a week if you wanted to see everything. However, the most popular part of the Causeway Coastal Route is from Ballycastle to Dunluce Castle, which corresponds with the most spectacular part of the drive. That said, there are interesting sites to see outside of that small portion if you have the time and can ignore your GPS screaming for you to go inland for the quicker routes! During our last visit, we only had 3 days for our mini road trip to Northern Ireland. Attempting to fit as much in as we could during that time, we made detours off the coastal roads in areas where there were fewer attractions, taking in some of the Antrim coast’s top stops along the way. 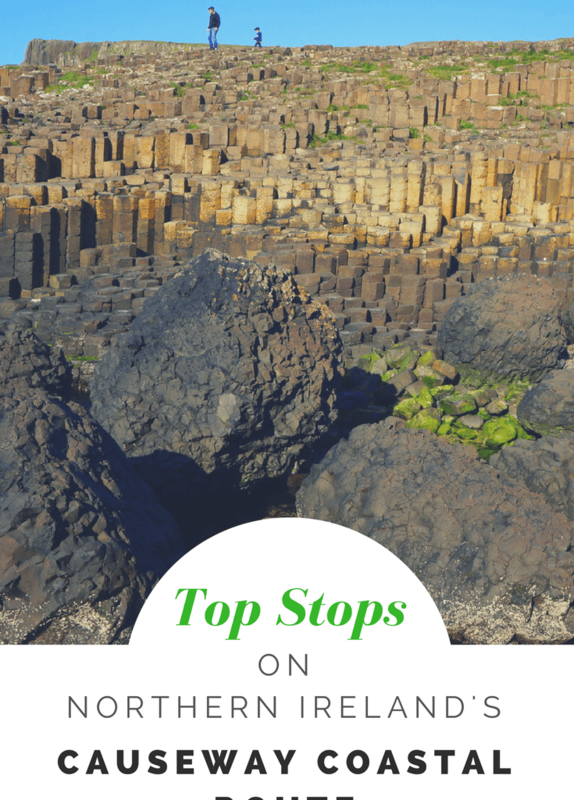 Below are our highlights from Belfast to Giant’s Causeway along the Causeway Coastal Route. 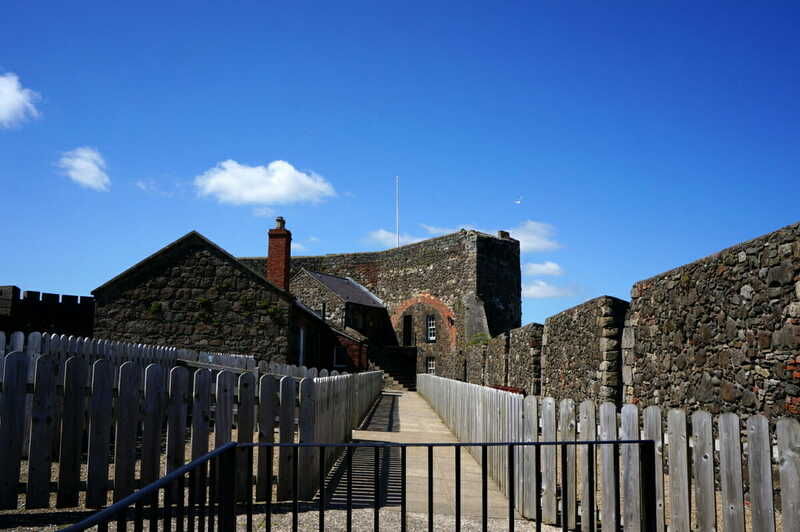 Carrickfergus Castle, situated on the harbor, is a 12th century castle that has seen over 800 years of action, and makes for a great first stop on the Coastal Causeway Route. Regularly battled over throughout the years by the Scots, Irish, English and the French right up until World War II make this an exciting castle to visit. 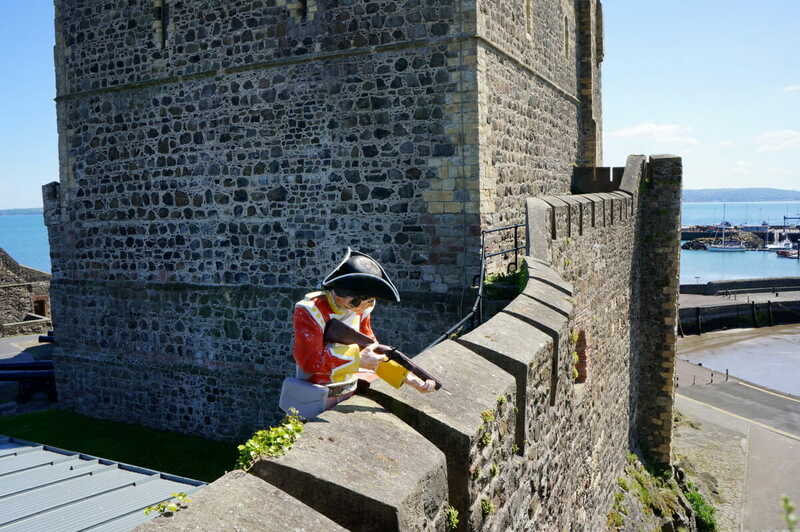 With portcullis ramparts, canons, a chilling dungeon and life sized models of solders and other historical figures, kids of all ages will be intrigued. There is a children’s play room with helmets to try on, information displays and a short film providing a good bit of detailed information about the castle and it’s history. If you plan in advance, you can get even more out of your visit with a guided tour. This was my son’s first real castle and he was totally blown away. He still talks about the hole in the ceiling over the entrance where oil could be poured on intruders! Keep an eye out for special events as well with traditional crafts and demonstrations as these would make the castle come to life even more. 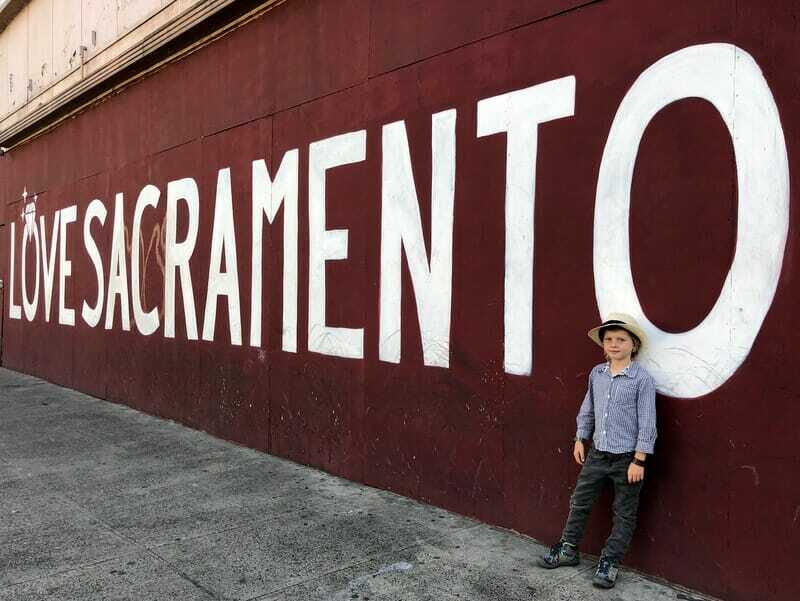 My son was too young (and too short) to participate in this, so we didn’t stop, but it looks like an amazing adrenaline filled activity that is worth returning for, so I want to include it here. A reconstructed cliff walk at The Gobbins takes visitors across bridges and cliffs suspended high above the sea with spectacular views reaching all the way to Scotland. This is not for the faint of heart or those without a decent level of physical abilities. The cliff path is a guided 2.5 hour walk along 2 miles of narrow and uneven paths with many steps and a very steep climb at the end. Children under 4 feet are not allowed, even if they are carried. Sounds a bit arduous, but also quite exhilarating! Note, the Gobbins Cliff Path is currently closed, opening again in the summer. Need a little nature escape that you can fully immerse yourself in? Head inland a bit to Glenariff Forest Park. A beautiful glen with a series of waterfalls plunging down a gorge traversed by rustic bridges. There are several walking routes (from .5 mile to 2 miles) which wind through the forest providing a wonderful detour of coastal scenery. Check in at the visitor center for help in picking a trail that is most suitable to your family. 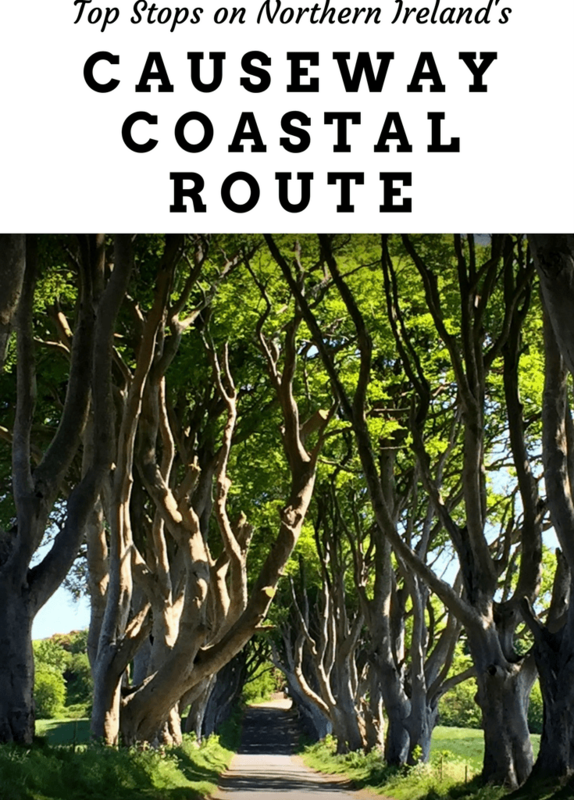 From here, you can continue inland to the Dark Hedges which is about 30 minutes away or you can head back to the coast for more scenery and a stop at Ballycastle, the official start of the Causeway Coastal Route, before working your way inland again to the Dark Hedges. 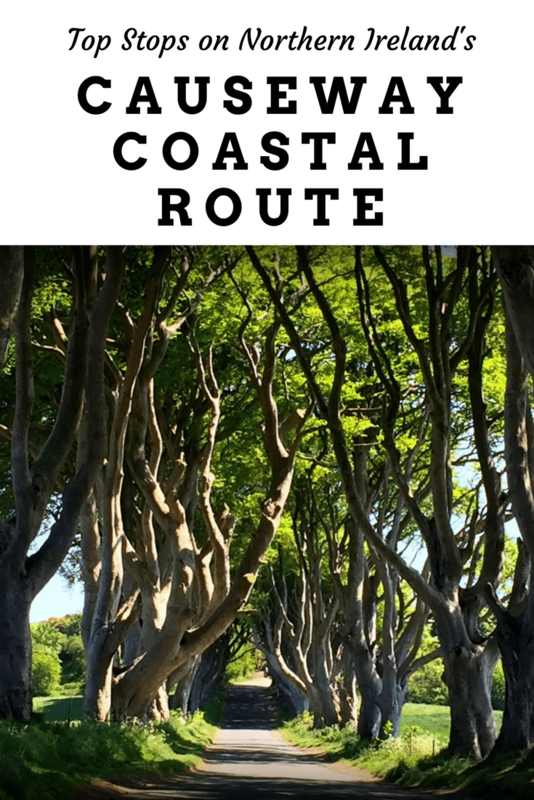 For Game of Thrones fans, you will want to take a little detour off the main Antrim Coast Road to see the Dark Hedges. This is one of Northern Ireland’s hottest attractions in the area right now, mainly due to being shown in Season 2 of the popular HBO show Game of Thrones. (Note: This is just one of many Game of Thrones filming locations you can visit while in Northern Ireland.) A long country road, framed by interlocking beech trees dating from the mid-1700s creates a mesmerizing scene. Photography buffs will enjoy the challenge of getting the perfect photo with or without cars driving through. My little one patiently played with his Finn McCool sword here while I worked to get the perfect photo. Not always the easiest to find, but plug in this address to your GPS – Bregagh Rd, Ballymoney BT53 8TP, UK and follow the crowds! Make sure to check it out from both the north and south ends to find the best angle. The Antrim Coast rope bridge connecting the mainland and Carrick Island can be a little bit gimmicky, but is still worth the stop. Originally built by fisherman over 300 years ago to catch salmon that swim through during high tide, it now serves as a popular tourist attraction. Even though the bridge is not that high (only about 100 feet from the ground below), it was enough to make me nervous! For my son it was just another walk on a somewhat wobbly bridge. I kept telling him in a panicked voice “Look at the guy on the other side. Stay focused”. It soon became clear I was only talking to myself since he didn’t seem the least bit fazed by our height or the swinging nature of the bridge. From the parking lot, it is a .7 mile walk to the bridge on relatively level terrain, however there are a few sections with somewhat steep and narrow stairs. Upon arrival to the bridge, you might have a long wait depending on how many tour buses are there at the time. Once you cross the bridge, you will work you way up a rocky path to a large grassy area where you can explore or just sit and take in the scenery around you. After you have had your fill, line up again to cross back to the other side and begin your walk back to the car parking area. Note, there are restrooms available at the car park area as well as a small snack cafe for treats and water, however nothing is accessible once you go past the entrance hut. Giant’s Causeway is the reason most people come to this remote section of Ireland, and for good reason. Even though many say they were disappointed by the size of Giant’s Causeway, we were in awe. Over 40,000 basalt columns created by 60 million-year old lava flows are pretty striking to see in person. In Irish folklore, it is told that Finn McCool, a giant, built this as a bridge to fight his greatest foes in Scotland across the water. Regardless of which story you go with, a visit to Giant’s Causeway is a must for any nature or geology buffs. It really is a spectacular sight, on a clear day or even shrouded in fog. 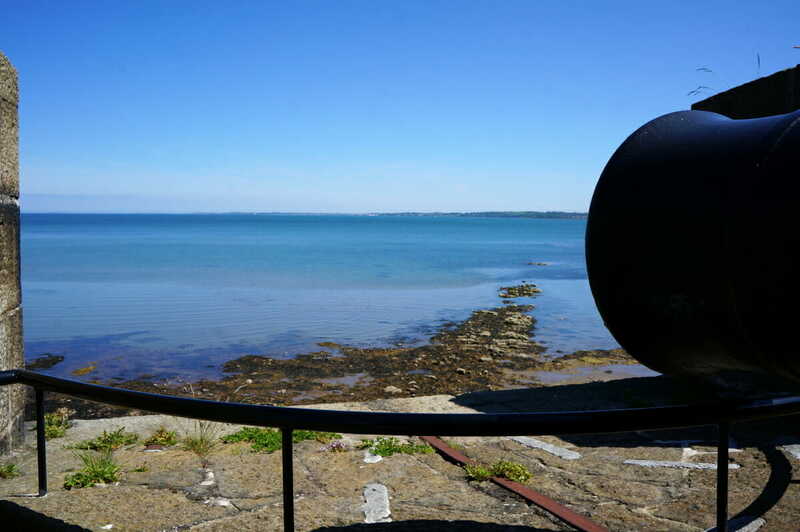 To get the most out of your visit, plan to stay at the Causeway Hotel, pick up the audio tour at the visitors center and explore both the red and blue trails. Staying at the hotel allows you time to visit before the morning crowds and after the afternoon tour buses have departed. For more details on visiting Giant’s Causeway, check out our post here. The final stop on our coastal journey was at the lovely ruins of Dunluce Castle. The 14th century castle ruins are perched on the edge of a cliff overlooking the ocean. If you are lucky to get a clear day like we had, you will be rewarded with fantastic views. While in the visitor’s center, make sure to ask about the audio ‘treasure hunt’ for kids. This is a great way for kids to get more out of their visit here, learning about what the different ‘rooms’ were used for while also having fun. 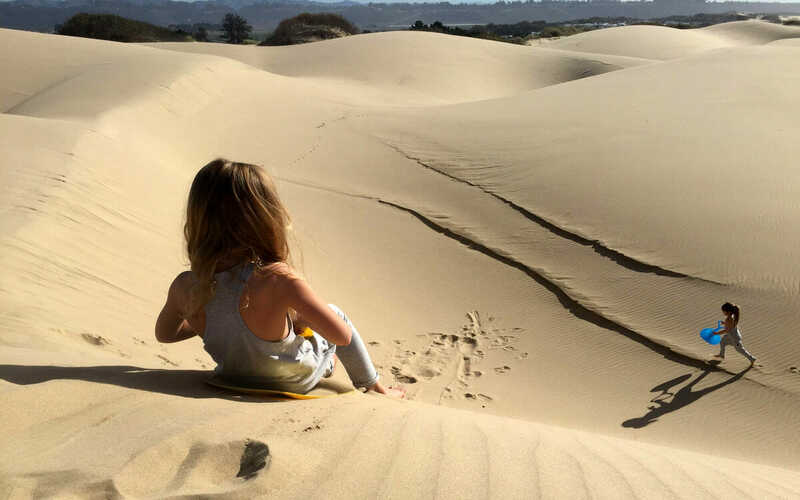 With vast grounds to explore and stunning vistas, you can easily spend a few hours here. If you are hungry, the little cafe across the road serves up great sandwiches and tea. 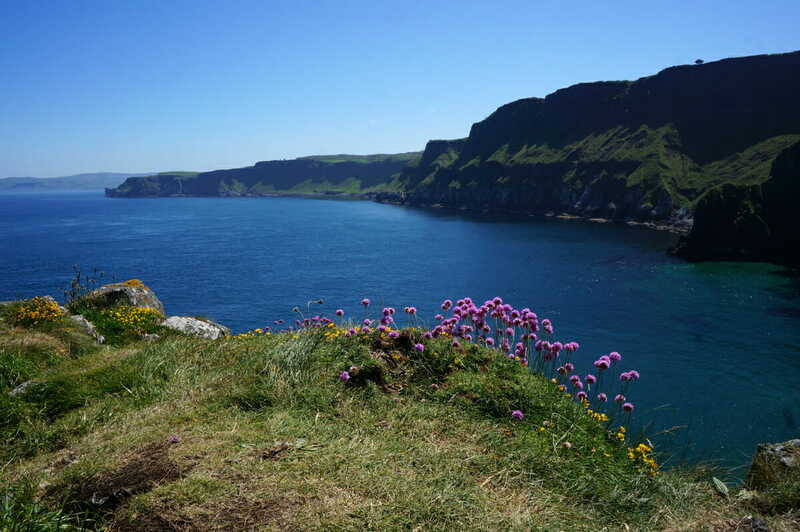 Have you driven the Causeway Coastal Route in Northern Ireland? What were your favorite stops?